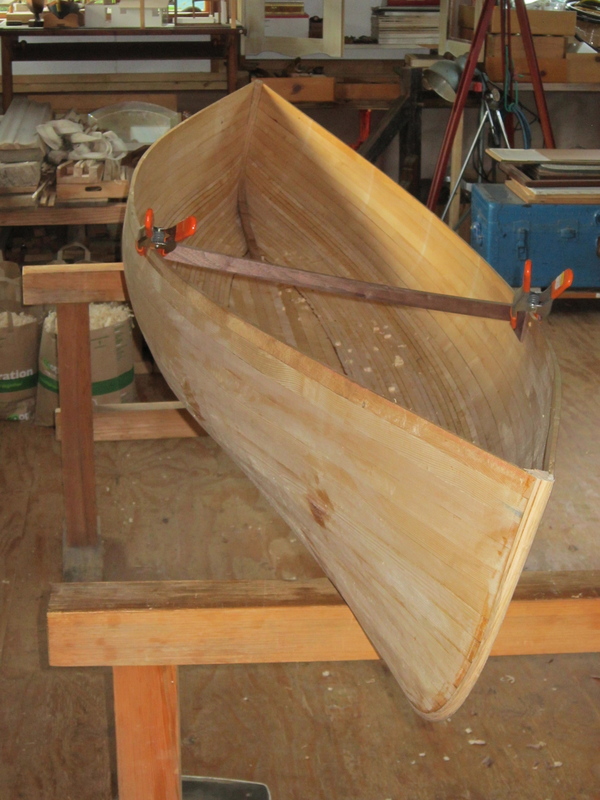 We finally stitched the bottom into the hull this afternoon, and all those pieces of spruce have become a singularity. We might have cleverly taken apart a tree and made it into a boat, pieces of several trees more likely, at least it isn’t landfill. Here she is, cut loose from the mold, slightly foreshortened by the camera lens, and ready for the next step. 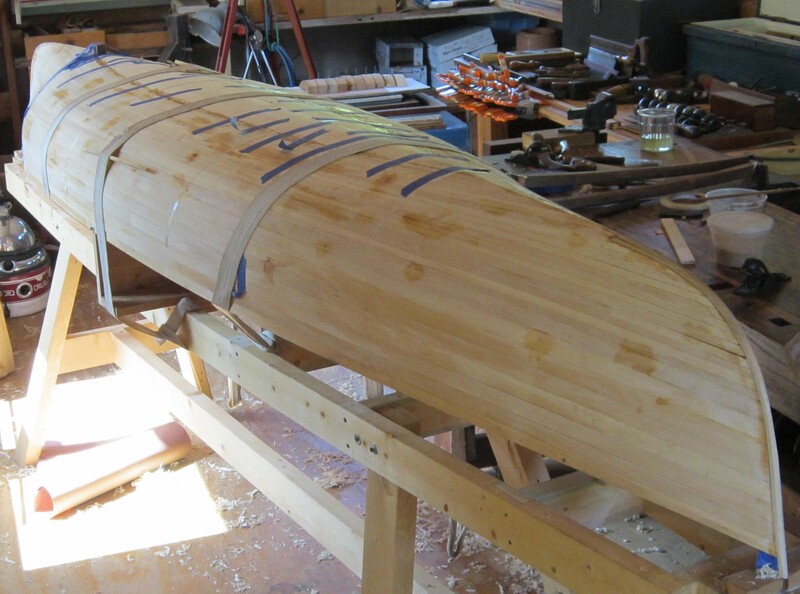 According to the bathroom scale, she weighs ~15 pounds, we will see how much weight epoxy and fiberglass add, and there’s quite a bit of planing to be done on the inside. So far, I have filled four grocery bags with shavings. Mostly spruce from planing the hull, a bit of white oak from the stems, and some walnut from the thwart. Decks will be minimal, probably sassafras, some pieces I ripped for the stems that didn’t work out. And there will be an outwale (bonus question: What did they call the gunwale before guns were invented? ), possibly walnut, or white oak that I have on hand.